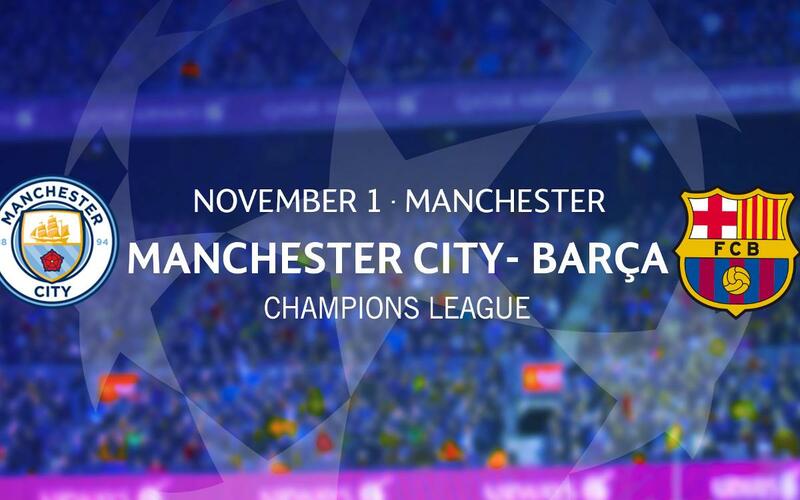 From Monday 10 October at 10.00am CET until Tuesday 11 at 7.00pm CET, members will be able to request tickets for the Champions League game between Manchester City and FC Barcelona at the Etihad Stadium on Tuesday, 1 November in Group C of the Champions League. Tickets cost €53.50 and member applications can be made via the link which will be active from 10 October. For this game FC Barcelona will have a total of 2,900 tickets available. As is customary, 85% of those available will go to members (1,972) and supporters’ clubs (493). The remainder of the tickets are needed for Club sporting and institutional commitments and sponsors. If demand for tickets is greater than the number available, on Thursday 13 October there will be a draw for tickets amongst the applications made by members. On 14 October the Club will contact those fortunate enough to have been successful in their application to inform them that payment must be made via the web on 17 and 18 October. Tickets will be available for collection on 20 and 21 October. For this game ‘FCB Desplaçaments’ offer the chance to travel to Manchester by plan, flying in and out of the city on the day of the game. The trip includes plane ticket Barcelona-Manchester-Barcelona, transfers to and from airports, the city centre and the stadium, insurance, supporters’ pack and support from FC Barcelona personnel during the whole trip.